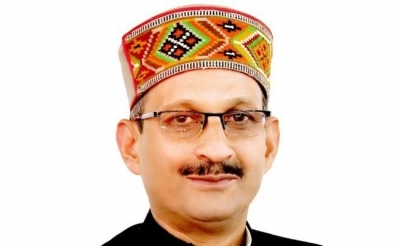 Shimla, April 17 (IANS) Himachal Pradesh BJP chief Satpal Singh Satti on Wednesday got another notice from the Election Commission over his "inflammatory remarks" against Congress President Rahul Gandhig. The poll panel gave him 48 hours to respond to the notice saying prima facie he is guilty of violating the Model Code of Conduct, citing his taunting remarks against Gandhi over his bachelorhood. A day earlier, a criminal case was registered against Satti for using a slur against Gandhi while campaigning. The Election Commission also issued notice to him seeking his reply within 24 hours. Satti targeted Gandhi and his family at a public meeting in Nalagrah's Ramashehar town in Solan district on April 13. Responding to Gandhi's "chowkidar chor hai" taunt aimed at Prime Minister Narendra Modi, he said that the Congress chief and the entire Gandhi family are "thieves". Satti has been booked under the Indian Penal Code's Section 294 (obscene acts and songs). Facing flak for his remarks against a religious sect in Punjab, Satti also expressed regret. Asking the political parties to exercise restraint, BJP leader and Chief Minister Jai Ram Thakur said: "We should not use unparliamentarily language against any individual. This should be restrained not only by our party leaders but by leaders of all political parties." Polling to Himachal Pradesh's four Lok Sabha seats will be held in the last phase of the polls on May 19.